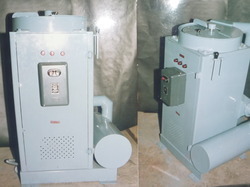 WE MANUFACTURE AND SUPPLY ALL TYPES OF INDUSTRIAL AND LABORATORY GRADE MUFFLE FURNACES, HEAT TREATMENT FURNACES,CONTINUOUS HEAT TREATMENT FURNACES,CONVEYORIZE HEAT TREATMENT PLANT,HI TEMPERATURE FURNACES,TESTING FURNACES,HEAT TREATMENT FURNACES FOR FORGING INDUSTRIES,SOLDERING FURNACES,ANNEALING FURNACES,ROTARY FURNACES,HARDENING FURNACES,TEMPERING FURNACES,STRESS RELIEVING FURNACES, NORMALIZING FURNACES, GAS CARBURIZING FURNACES,SPARES AND ALLIED EQUIPMENT. 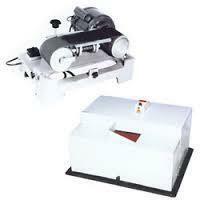 Our company is extremely engaged in providing a comprehensive range of Belt Polishing Machine. This polishing machine is developed by using superior quality material and sophisticated techniques under the direction of our skilled team of professionals. Along with that, this polishing machine can be customized as per market preferences. We are giving this polishing machine to customers at reasonable rates. Looking for MUFFLE FURNACES ?